Dr. DeFever was born and raised in the Tri-Cities, WA. He earned a Bachelor of Science degree as well as a Doctor of Chiropractic degree from Palmer Chiropractic College in Davenport, Iowa in 1994. As fortune has it, Dr. DeFever purchased Marysville Chiropractic from an amazing Chiropractor, Dr. James Burkett, the Founder of Marysville Chiropractic. Dr. DeFever quickly discovered that Dr. Burkett was a champion human being, in addition to being a noted Chiropractor, civic leader, friend, and family man. Their friendship and respect for each other created an almost magical transition for Marysville Chiropractic. Following in his mentor’s footsteps, Dr. DeFever’s primary mission is to see his patients as “whole beings,” understanding that each person has their own unique life experiences. Dr. DeFever knows it is critical to honor those experiences. 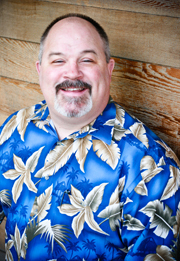 Dr. Bob enjoys and appreciates a variety of music, is an avid Seattle Seahawk and Mariner fan, has coached youth football, and has served with several community organizations, including Marysville Rotary, YMCA Invest in Youth Campaign and Marysville Strawberry Festival. Bob enjoys people – small or large groups, and spends much of his time making people laugh. We welcome all of your questions. Give our office a call, or email us using the link below and let’s arrange a time to explore your options here at Marysville Chiropractic.